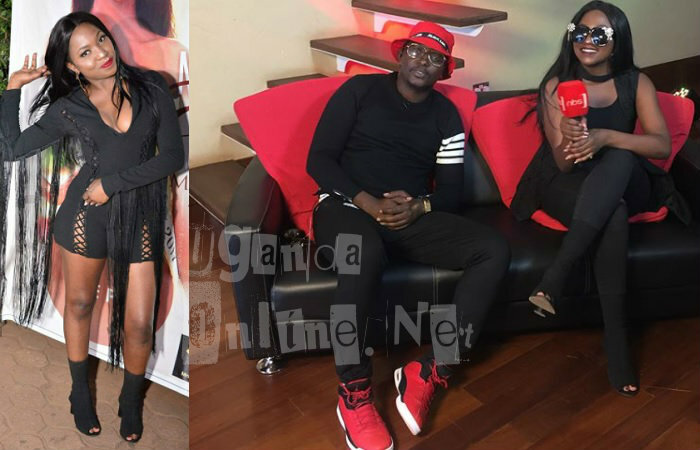 The late Ivan Semwanga's half brother, King Lawrence, is surely living life in the fast lane. 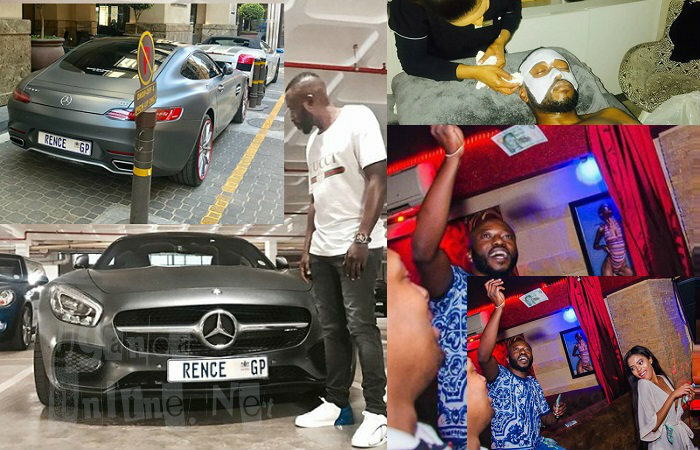 Fresh from buying an AMG GT, he's gone ahead to customize it with 'RENCE' reg plates to clearly make a statement that this ride that costs 400million before taxes is his. There's a tendency of guys taking shots from car showrooms claiming they've bought rides, and before you know it, the ride is nowhere to be seen. King is pretty much aware of that thus the RENCE number plate. He has also been seen contemplating on adding a Ferrari to his fleet, but that is yet to be confirmed. Just like the late Ivan used to do, King Lawrence has also taken to chopping money like there's no tomorrow. Some babes have made hanging around him a money making opportunity as seen in the pic above. Lawrence is also seen taking care of his skin to get any woman's attention. King Lawrence gettin ga facial treat..
December is around the corner as we wait to see what will transpire at the annual Rich Gang Party. It's left to be seen what Don King Lawrence and Edward Kyeyune aka ED Cheune will do this year's party.